Yes, it’s Freedom to Read Week! I mentioned this a little while back, and now it’s here. 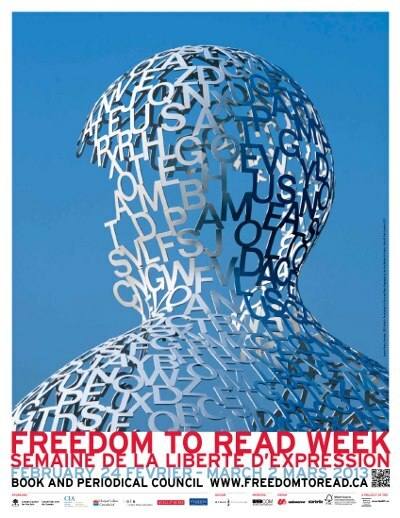 If you missed that post, Freedom to Read Week is the Canadian equivalent of Banned Books Week in the U.S. It celebrates the freedom to read anything and everything, by highlighting works that have been challenged or banned. I have made it my goal to always read a challenged book for this week. I read many challenged books without even realizing it throughout the year, but for me, it’s important to make an effort to read a challenged work specifically for Freedom to Read Week, in defiance of censorship and to promote the ability to express, create, and enjoy whatever we want. 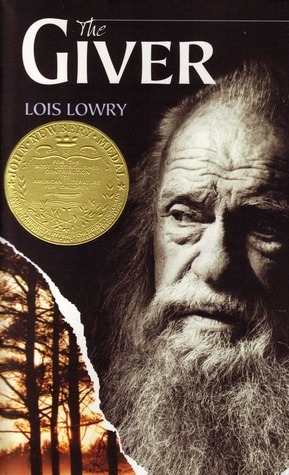 I debated for a while, but ultimately, I decided to read Lois Lowry’s The Giver, which I had not previously read before. I chose this book because, aside from the many times it’s been challenged, it’s a favourite book of my husband’s. I liked this book. I’m still not entirely sure how much, though. I was certainly intrigued by the world and the process of memory giving, but I found my willing suspension of disbelief hard to keep intact with this one. I just couldn’t buy that people would ever choose to live this way, and to me this book seemed to suggest that at some point, people chose it. I do think I would like to read the other books in series, however. I’d like to see if some of my many questions are answered further along! I’d love to know what you’re most recent/most surprising/all-time favourite challenged book is! Haha, don't worry, I didn't know about it until Library School! It is fun to participate, however. And I love when teens get into it, because it's all about reading what some people think you're not supposed to!